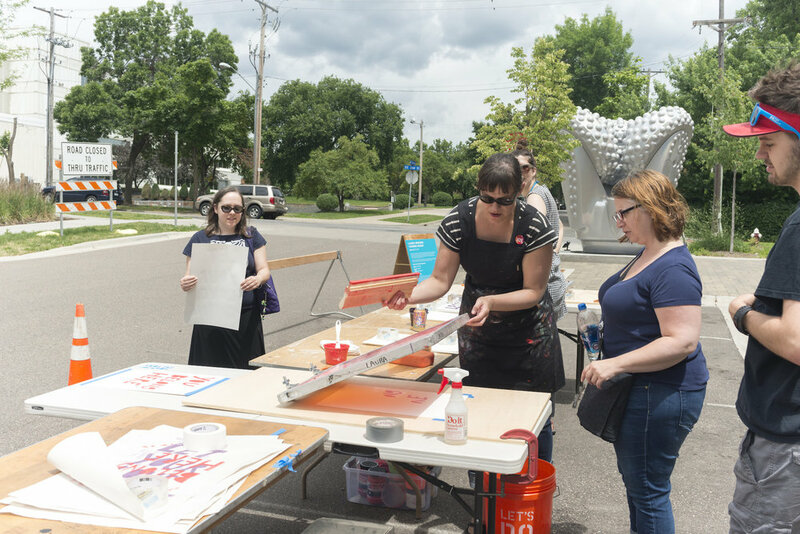 Artist, Laura Brown talks about her upcoming outside installation at The Soap Factory ‘COMING SOON!’ Brown will be installing screen printed faux “construction signs” around the perimeter of the Soap Factory during the upcoming building renovation. The prints’ shapes and placement will allude to common safety signs found in construction zones. 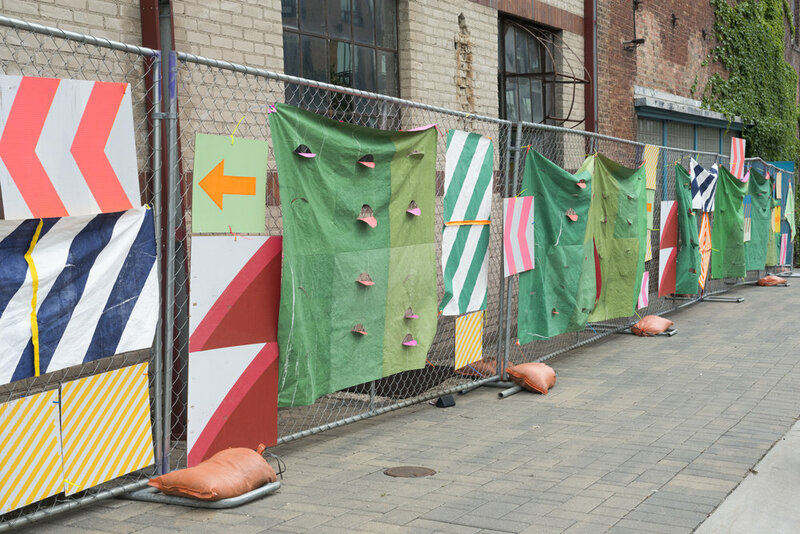 In this way the pieces will act as artworks hidden in plain sight to activate the exterior and build anticipation for the soon-to-be renovated Soap Factory building. 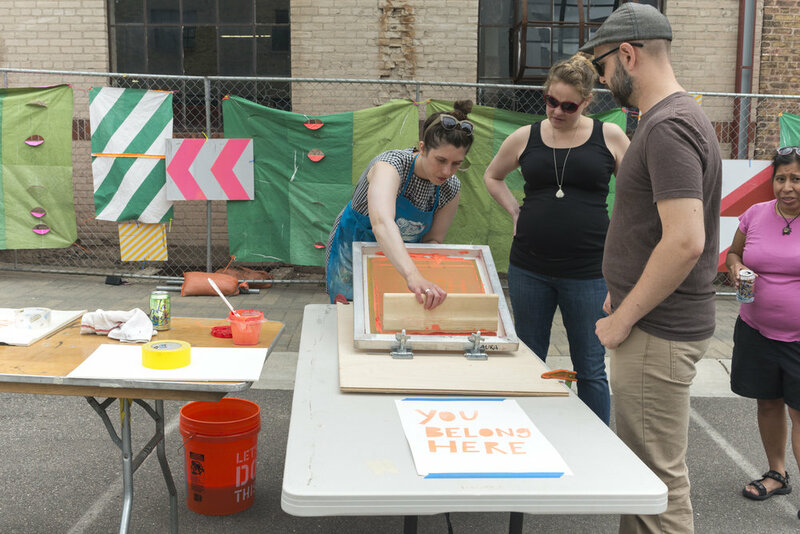 In addition to the installation, Laura will host Open A-I-R studio sessions, inviting the public to print signs of solidarity, protest, or encouragement that relate to their day-to-day experiences in a wider world that is in various states of literal and metaphorical “renovation”.